Let me say that I loved The Da Vinci Code. However I think enough time has passed since the movie, based on the book, was made that we could stand to see another film using a similar story line. I’d like to suggest that someone translate The Expected One and it’s sequels into films. As a religious studies graduate, I find reading any novelization of religious history fun. I read The Da Vinci Code first and thought the film was as good as the book. I mean how can you go wrong with Tom Hanks in the lead. The Da Vinci Code is told from a man’s point of view. It is, for the most part, a murder mystery, action story with two of the three main characters being men. The details of the biblical Jesus are what Alfred Hitchcock would call, “the MacGuffin,” the thing the characters are focused upon but the audience doesn’t necessarily care about. The real center of Brown’s story has to do with the murder of The Louvre curator and why Robert Langdon, a college professor specializing in symbology has been framed for it. Sophie Neveu, a cryptologist for the Paris police, enters to help Robert escape and to solve the mysterious death. She tells Robert that the dead curator was her grandfather and soon they discover that he was a member of a secret society whose mission it is to protect the living descents of Jesus. It’s a compact story taking place within a mere 48 hours. The Expected One, on the other hand, is told from a woman’s point of view. The story begins when Maureen, vacationing in Jerusalem, has the first of many extraordinary experiences. During these experiences, she glimpses Mary, Jesus, John the Baptist and their relationships to each other that set in motion the events in Maureen’s present day. The book gives more detail about what may have really happened during Jesus lifetime. It asks the question, what if everything we thought we knew about Jesus and his disciples is wrong? 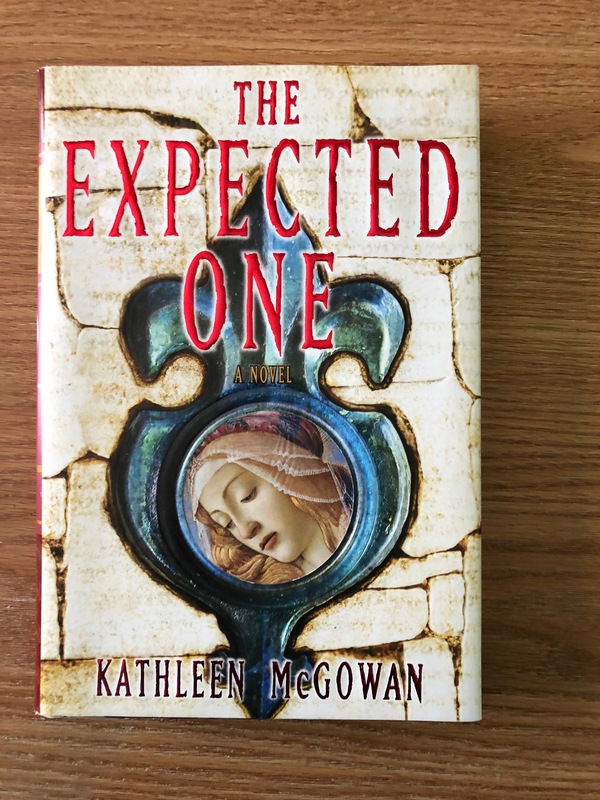 Kathleen McGowan takes us not only on a historical adventure, but on a spiritual journey as well. Through her main character, Maureen Pascal, we get a glimpse into the world Jesus and his disciples lived in. Maureen, it turns out, is the The Expected One, foretold in prophecy to find and reveal the long lost gospel of Mary Magdalene. In this book, what is contained in Mary’s gospel drives the action. That is not to say there aren’t deaths and action sequences. But the bulk of the story has to do with Mary Magdalene, and Maureen’s deeply personal spiritual journeys as Maureen follows the clues to find Mary’s gospel. Maureen discovers there are opposing secret societies trying to protect or destroy Mary’s legacy. And included in the story is some interesting history of the Cathars, a mostly forgotten Christian religious sect in France that had a great deal to do with Mary and her children. Both books challenge what we think we know about the formation of, and teachings of Christianity, and the roles the various historical characters played. In my opinion it’s a good thing to continue to examine our belief systems and try to learn as new information is discovered. The Dead Sea Scrolls and other ancient documents that have been uncovered in recent decades have added to and even challenged what we thought we knew about the times in which Jesus lived. Maybe wrapping up some of that new information into a fictional package makes it more palatable to consider. All I know is that when I read the quote above by Reverend Jeffrey J. Bütz on the back cover of The Expected One, I was intrigued enough to buy the book and read it. And as I finished the last page, I too felt a shift in my spiritual beliefs. That’s the reason I’d like to see The Expected One and it’s sequels, The Book of Love, and The Poet Prince turned into movies.